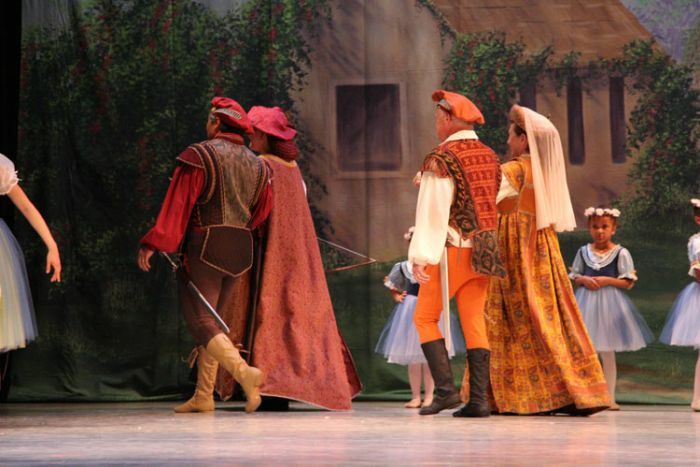 We were so excited to see our leggings utilized in Main Street Ballet's production of Giselle at the Pomperaug Theater in Connecticut. 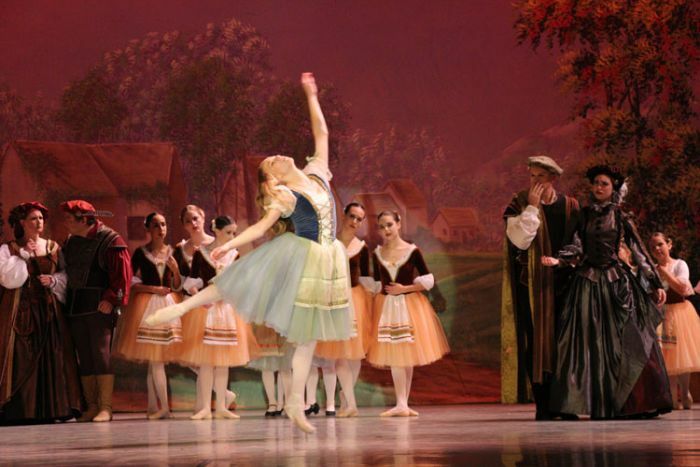 According to Andrea Usami at Main Street Ballet, "Giselle is the story of a young peasant girl who learns that the young man she fell in love with is actually a prince. She goes mad with grief and dies of a weak heart. Her spirit is claimed by the Wilis -- the ghosts of women who have died because of men's perfidy, and who wait eternally to ensnare and kill unsuspecting men. 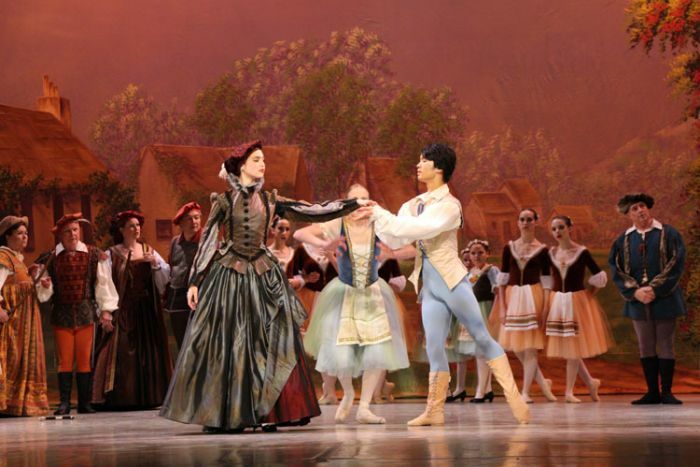 When the Wilis try to force Giselle to dance her prince to death, her love protects them both -- saving his life and freeing her spirit." 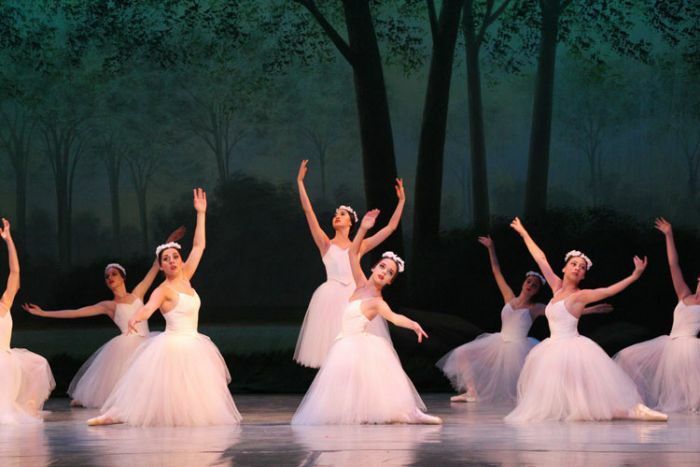 Giselle lends itself to dozens of gorgeous costumes, like the beautiful white tutus the ballerinas wear, but Main Street Ballet has been disappointed in the past with their options for leggings for men. They reported that our leggings were sturdy, which comes in great for such a serious production where wear and tear is no stranger. They were also really glad to have our wide selection of colors to choose from, and ended up choosing Rust, Mocha, and Brown leggings for the men in the Royal Hunting Party to wear. Don't forget us for your next production! Check out our wide selection of men's products on our site.